Entry by Suou on Sat Apr 21 10:03:33 2012.
just like shinobu "i was rolling on the floor laughing"
This is perfect, and I'm so late. Izaya, I love you even more now! So, Is it Greenuo and Redzaya? in this pokemon battle would a vending machine count as a pokemon? 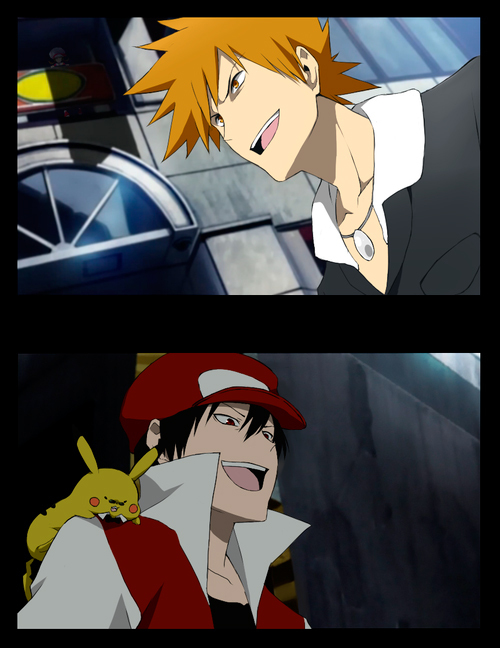 Pikachu looks so demonic lol~!